Did you know that the number one cause of death in Americans is heart disease? Due to the typical American’s diet, many people are at risk for stroke and heart attack due to blocking blood flow. While this trend may seem alarming, precautions can be taken to reduce one’s risk through diet modifications. In fact, slight changes may help decrease the changes through natural cleansing processes. Consider adding one or more of these artery cleansing foods into your daily diet. 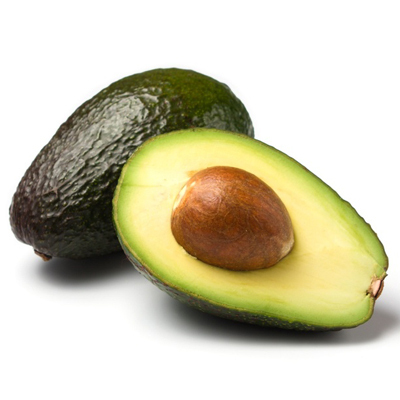 Avocados – Thin slices of avocado can enhance your favorite sandwich. Scientific research showed that people who consumed avocado daily had a significant reduction in their total blood cholesterol with an increase in their HDL (good cholesterol). Whole grains /soluble fiber – Choosing whole-wheat bread, adding a side of brown rice to your favorite entrée or consuming oatmeal for breakfast are all ways to add soluble fiber into one’s diet. These whole grains bind the cholesterol in your meal and force it out of your body. Spinach – Add some of these dark leafy greens in your favorite salad to potentially reduce one’s blood pressure and clearing the arteries. One serving of folate-rich greens may help reduce the risk of blocked arteries. Green tea – Drinking a glass of green tea may provide multiple benefits, including decreasing cholesterol absorption. As an added bonus, it may help prevent weight gain and cancer. Pomegranate – These fruits contain antioxidants that may protect the arteries’ lining. Consider eating one as an afternoon snack or in place of dessert. Cinnamon – Consider adding a teaspoon of cinnamon in your morning cup of coffee or on some fresh fruit. The benefits may be seen in reducing the fat in one’s bloodstream. This can prevent plaque build-up in the arteries and decrease one’s LDL (bad cholesterol). Nuts – Heart-health and nuts go hand in hand. A healthy snack can be found in a handful of almonds, which are high in monounsaturated fats, fiber, and vitamin E. Walnuts are another great choice. In general, eating nuts may reduce LDL (bad cholesterol), as well as reduce one’s risk of having a stroke. Asparagus – This vegetable is believed to work within the 100,000 miles of arteries and veins inside one’s body. It releases pressure that can cause inflammation. Add a healthy crunch to your salad by including some asparagus. Salmon – Salmon is full of omega-3 fatty acids, which promote heart health. Eating this fish once or twice per week may risk inflammation, lower triglyceride levels, and increase HDL (good cholesterol). Consider replacing your entrée with this tasty fish choice. Watermelon – Adding some watermelon into a fruit salad or as a healthy snack alternative to keep arteries clearer, lower blood pressure, and decrease inflammation. This tasty fruit stimulates the production of nitric oxide, which is known to aid in heart health.